The Matchbox @ Crowded Fire actively supports the creation of high quality contemporary theater through commissions, in-house workshops, and this annual public reading series. Working alone at night, a scientist makes an incredible discovery that challenges her beliefs and raises profound questions of right, ownership, responsibility, and power. On a Wonderverse is the latest co-commission from Crowded Fire and Playwrights Foundation. Geetha Reddy is a five-time recipient of PlayGround’s Emerging Playwright Award. Her play Safe House premiered in 2010 at SF Playhouse. At Central Works she and Aaron Loeb collaborated to create Blastosphere! In 2008 Safe House was selected for the Bay Area Playwrights Festival, and Sacramento’s Capital Stage’s Playwright’s Revolution Festival. Geetha’s plays Me Given You and Girl in a Box were part of the Playwright’s Foundation’s “In the Rough” reading series. She was awarded PlayGround’s June Anne Baker Prize in 2005 and has since received three Playground Alumni commissions. Her plays have also appeared in the San Francisco Fringe Festival, the Santa Rosa Quickies festival, Just Theatre Lab, and the Best of PlayGround Festival. Her short film OBIT is currently showing at film festivals nationwide including LA Shorts Fest. NYC Indie Fest, and BendFilm Festival. 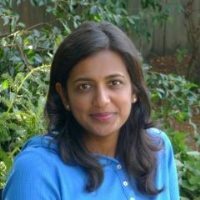 Geetha is a member of the Dramatists Guild and Resident Playwright at the Playwrights Foundation. This grotesque, aggressive satire about a domestic worker and her parasitic employers plunges us headlong into the horrifying greed, need, and exploitation that grease the crushing wheels of commerce. A stunner of a play by up-and-coming, stylistically daring writer Andrew Saito. 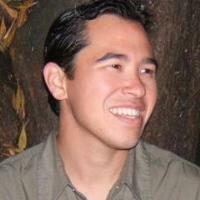 Andrew Saito is Resident Playwright at The Cutting Ball Theater, and a member for Playwrights’ Foundation’s Resident Playwright Initiative and the PlayGround Writers Pool. His plays include La Lechera, El Río, finalist for the Princess Grace Award, Krispy Kritters in the Scarlett Night, produced at The Cutting Ball Theater in 2013, The Patron Saint of Monsters, selected for a 2012 Core Apprentice developmental reading at the Playwrights Center of Minneapolis, and Mount Misery, premiering at Cutting Ball in May 2015. Other presenters include the Bay Area Playwrights Festival, Just Theater, PlayGround, Brava! for Women in the Arts, Kearny Street Workshop, Asian American Theatre Company, La Peña Cultural Center, and Mixed Phoenix Theatre Company in New York. He was twice commissioned by Handful Players, and has taught playwriting in rural Mayan villages in Guatemala, and with WritersCorps, Performing Arts Workshop, legendary Peruvian theatre collective Yuyachkani, and Montalvo Arts Center as a Teaching Artist Fellow. In 2012, he was a Fulbright Scholar in Papua New Guinea. Prior to that, he was the Arts & Culture Fellow at The San Francisco Foundation. He holds an MFA from the Iowa Playwrights Workshop, where he received an Iowa Arts Fellowship. A haunting play with the bones of a dark fairy tale, Murmur Rock follows a Jewish American man and his mixed-race family traveling in Germany to find his father’s village. However, long-buried secrets, the shifting terrain of memory, and bargains unwittingly made lead them to places they never expected. 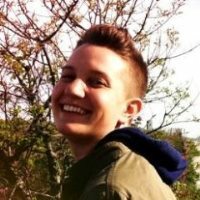 MJ Kaufman is a playwright originally from Portland, Oregon. MJ attended Wesleyan University and recently received an MFA in playwriting from the Yale School of Drama. He has received awards and commissions from the Program for Women in Theater, the Playwrights Foundation, the National Foundation for Advancement in the Arts, Young Playwrights Inc., New Harmony Project, and the Huntington Theatre, where he is also a playwriting fellow. MJ was awarded the 2010 Jane Chambers Prize in Feminist Theatre for his play, A Live Dress. His work has also been produced by Fresh Ink Theatre, the Yale School of Drama and performed in Russian in Moscow. MJ received the 2013 ASCAP Cole Porter Prize in Playwriting. MJ is currently a member of the Clubbed Thumb Emerging Writers Group, The Falcons and an affiliated artist of New Georges. He lives in Philadelphia and teaches at Philadelphia Young Playwrights. Drawing on the true history of her grandfather, a member of the Chinatown gambling and prostitution guild in early 1900s San Francisco, Eugenie Chan layers original material with fragments of actual family documents to explore the world Chan’s Grandfather knew — and made — one of lost hopes and grim choices. 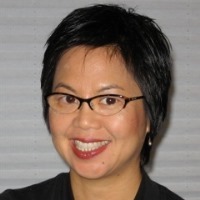 Eugenie Chan‘s award-winning plays have been produced or developed at Cutting Ball Theater, The San Francisco Mime Troupe, the Magic Theater, the Public Theater, Playwrights Horizons, Houston Grand Opera: HGOco, Crowded Fire Theater, Thick Description, among other venues. Prize-winning films she has written have shown at the Berlin International Film Festival, Mill Valley, Cinestory, DisOrient, and other festivals. She is a Resident Playwright at New Dramatists, Playwright Emerita at Cutting Ball, a member of the self-producing playwrights collective 6NewPlays, and an alumna of the Playwrights Foundation Residency. Eugenie teaches at the University of San Francisco’s Performing Arts & Social Justice Department, San Francisco State University’s Creative Writing Department, and Marin Academy. Eugenie Chan Theater Projects is a member of the Intersection Incubator at Intersection for the Arts.